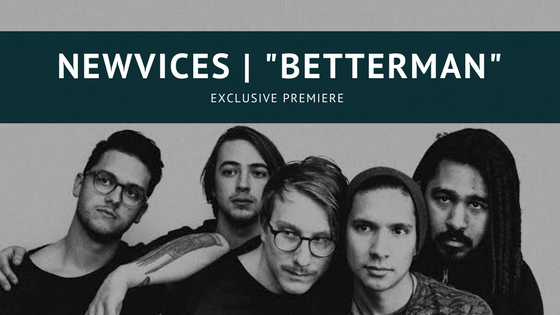 Say hello to your new favorite alternative/pop band, Milwaukee's own newvices. Their four-song EP, The Truth of Self, is set to release on April 27 and was recorded with Timothy Wolf of Four Giants. Their debut single, "Betterman", speaks of heartbreak that is felt in any occasion or with any person. "'Betterman' was the first song Rod and I wrote/finished together," vocalist Marco Jaimez said. "I think going into this project, I had the notion that pop music had to be a certain way so my writing was a bit inhibited in the beginning stages of writing this EP. The main theme of the song is being continually let down in a relationship whether it's romantic, or maybe it's a close friend or it's a parent or whatever. I just thought it was something people could relate to." The video for "Betterman" was created by Eddie Curran of Enterprise Films and shot in Waukesha and Milwaukee. "The concept was about a mother partying and making bad life choices instead of taking care of her child on a night they had planned together," Curran said. "All the while, the father takes care of her and the mother ruins her relationship with her daughter." "Instead of having a cliche breakup video I wanted to show a deteriorating relationship between a mother and daughter," Jaimez added. Watch the exclusive premiere of the music video here!